Each day until the end of the year we will discuss the albums that have been on repeat on our stereo for the past 12 months (in no particular order). With Compass, Joshua Redman has made an in depth and fully realized masterpiece that does remind me of his first three albums. The double trio exploration with two bassists and two drummers on paper sounds like a wall of cacophony. Compass is nothing of the sort. Its is an album filled with just the right amount of muscle and tranquility that you will undoubtedly listen to again and again. Inspired by his great father Dewey Redman, but sounding more and more like one of his other inspirations, Sonny Rollins, Compass take another step forward in making Joshua Redman one of the best saxophonists on his generation. He continues to be highly inventive and pushes rhythm into new directions. 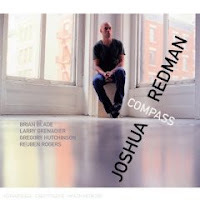 Compass is the place to start if you haven't listened to Joshua Redman before. 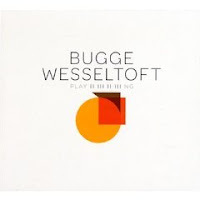 Sparse, introspective and hauntingly beauty are the images that come to mind when listening to Bugge Wesseltoft's latest release, simply titled Playing. Wesseltoft has been conjuring up alluring and futuristic imagery for over 10 years now as a solo artist, with his collective New Conception Of Jazz, and as sideman (Nils Petter Molvaer, Joyce, among others). He is a mainstay on the Norwegian and European jazz scene but only a cult figure in the U.S. (more due to the small distribution of his albums than his willingness to tour here). Bugge Wesseltoft has been compared to Keith Jarrett in his ability to create a full emotion of sound from a single piano setting as well as Jarrett's manner of forcing the listener to experience every note. Playing features an almost playful version of Brubeck/Desmond's legendary "Take Five" as well as wonderful gospel-tinged version of "Many Rivers To Cross". Wesseltoft may not be the European Keith Jarrett but he is a master at creating a mood that will resonate with almost anyone. 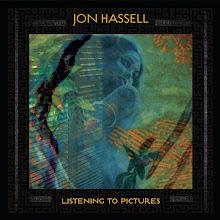 Enjoyed with a nice glass of Merlot, Playing will be probably be one of your favourite albums of 2010.